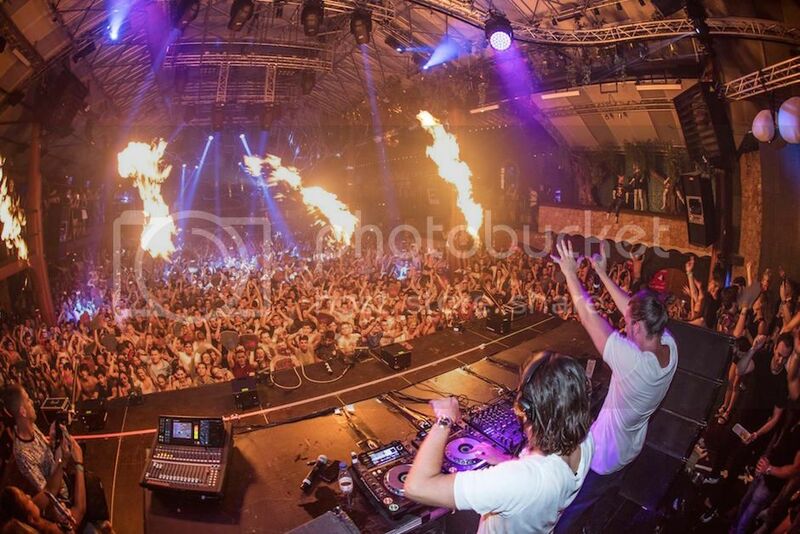 We recently caught up with Dimitri Vegas while Like Mike and him we kicking back in Ibiza ahead of Tomorrowland. They asked us to 'Stay A While' and chat about all things Ibiza, DJ Mag, their latest single and more importantly Tomorrowland Unite South Africa. Hi Dimitri Vegas, welcome to Pulse Radio. You guys are currently in Ibiza, how is the island treating you? Really great! The weather's great, the food is great, so we're all good. You guys recently hosted your House of Madness night at Amnesia. How did it go and how does it feel to have your own night on the island? It's great, every night that we do it's sold out. It's great to have your own successful party at that place. We came here almost 15 years ago playing small bars and clubs, so that's the evolution we've had here. And do you have any more nights there for the season? Yes, every Sunday. You have recently released a new single, 'Stay A While', tell us about the release. Yeah, it's the first single that Mike did all the vocals on himself. It took a bit of a different direction, but we're really happy with the final result now. It's doing really well in Europe at the moment, so we're hoping it does equally well in South Africa. We hear you guys are working on a new album at the moment. What can we expect from the album and any interesting features? We're still currently working on the album; we've been working on it for a year now so hopefully we've had a good year. One of the new tracks we've just finished we did with Major Lazer, so yeah a lot of cool features on there. You guys are currently at the number one spot on DJ Mag's Top 100, what would you contribute that success to? First of all, it is a great honour that so many people voted for us, we were really amazed by it! And the voting has already started again. It just sank in that we were number one and the voting already started again, so we're hoping for an equal amount of votes this year so that we can stay on top. Of course, it's a nice compliment, but it's not the most important thing. The most important thing is that people enjoy our music and enjoy our shows, so if we can stay at number one for a while that would be great. You will be headlining at Tomorrowland in your hometown of Belgium, what does it feel like to play at the worlds premiere festival? Does it feel like home to you? It's amazing! When we started to work with Tomorrowland, it was a local legend in the making and to see what has happened in the last six years is incredible. It's now a worldwide movement and to have Unite where people can watch you play and have Tomorrowlands going on all around the world is fantastic. What has been your favourite experience at Tomorrowland so far? Well, each year is unique in its own way so that would be too hard to pick. Unite is streaming to places like Japan, Mexico and India, where you guys are big favourites, and it's the first time it's coming to South Africa. You guys have been here a few times. Yeah, it's great! Unite seems to be getting bigger and bigger, and the parties are really crazy, so it's great that South Africa is also joining in. Do you have a message for the people of Tomorrowland Unite? I'm really happy that so many people are joining us every year and even more from around the world. 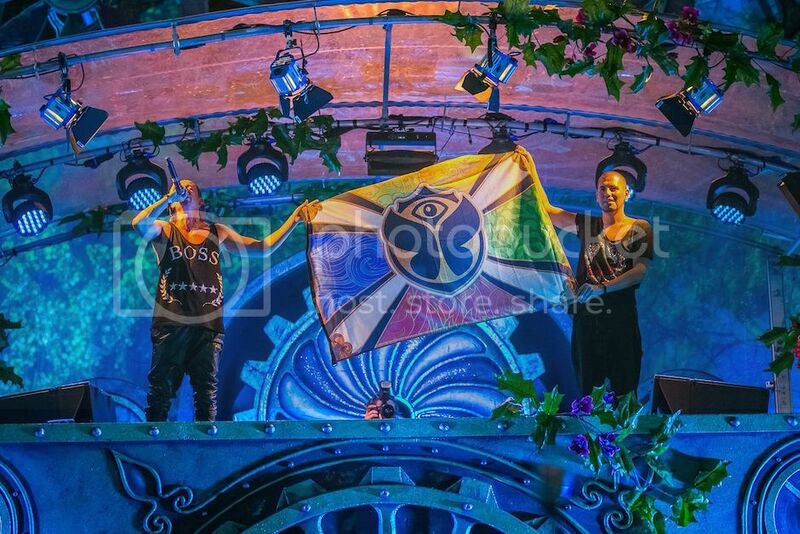 So we'll see you guys at Tomorrowland. Tickets: General Admission - R450, VIP - R1200. For tickets visit ticketpros.co.za.